Anyway look at this beautiful thing that is now adorn my tv-shelves, a playstation 4! 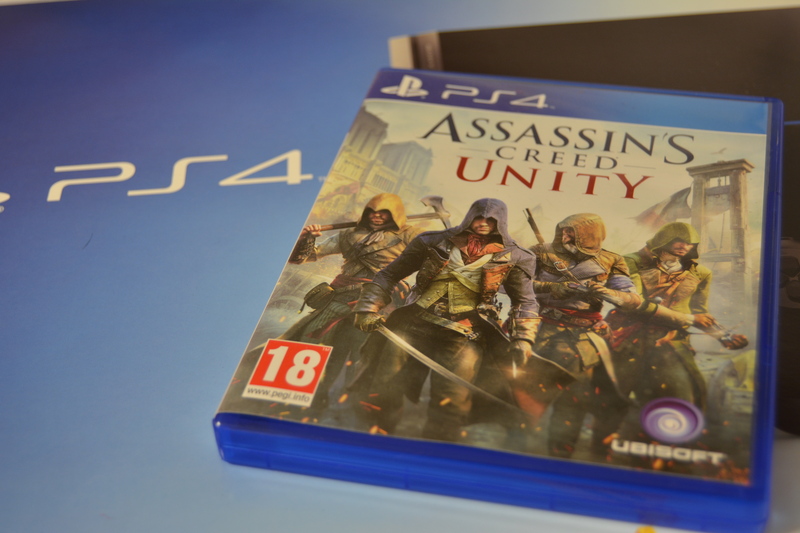 I also got Assassins Creed Unity and I also bought Grim Fandango Remastered! I have not played AC:Unity that long but Im not super impressed yet. This far it has been 5 minutes movie then two minutes playing where you get to fight/run and then 5 minutes movie and then again 2 minutes fighting/running. I just want to play! But hopefully this is only the ”introduction” and it will be better further ahead. But I have to say it looks amazing! Apart from all the boring movie, he sometimes get ”stuck” when you do parkour, is it only me this happens to? He get stuck on ledges and don’t want to go anywhere although there is a ledge right there! Grim Fandango I played when I was younger, and I only have fuzzy memories, but it has always been in my head an amazing game. And it so far it is as I remember it only alot harder!! I feel like I played forever and I haven’t got that far, but I still love it.